Greetings fabulous people of the internet. Thank you for joining us here on The Writing Piazza. It’s Friday and that means it’s time for our weekly #fridayguestinterview! Today we have a talented author with us for the interview. I’ll let him go ahead and introduce himself. Hi everyone, delighted to be able to talk to you all. My name is Joel Hames. I’m originally from London, where I used to be a lawyer and subsequently worked in the City, but six years ago I quit all that and moved up to the rural north-west of England. I’m married with two daughters who are the bane and the joy of my life. I’ve always been interested in writing – I studied English Lit at Oxford University twenty-something years ago, and the idea of being a novelist always appealed, even if it seemed a little unrealistic and not exactly solid. But in the wake of the financial crisis, nothing else seemed solid either, so I decided to start again. And there was no better time to try to be a writer. You are the author of a couple books, can you tell us a little about your first one? 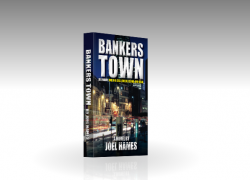 My first published novel was Bankers Town, a financial thriller (for want of a better description), which focuses on the rise and fall of one man, Alex Konninger, against the backdrop of the financial boom and bust of the first decade of the millennium, and the victories and defeats, mistakes, crimes, lives, loves and deaths that take place there. That sounds exciting! I guess that’s why they call them “thrillers” haha. And you mentioned to me earlier that it’s currently on sale in the Kindle format for .99 cents! I just wanted to share that helpful bit of information with all you lucky readers out there, but act fast because it won’t be on sale forever! How about your other book, what is that one about? Just last month my second novel came out. 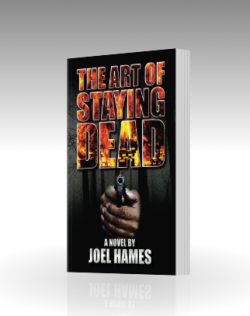 The Art of Staying Dead is a “straight” thriller, with plenty of tension, action, a little conspiracy and no shortage of pace. Its central character, Sam Williams, is a down-on-his-luck lawyer who’s spent ten years running away from other people’s pain, and learned not to look back. But Sam needs a client, and for a human rights lawyer with a flexible conscience and an impatient landlord, a visit to a notorious high security prison seems a decent way to get one. It’s fair to say things don’t go as expected. Before long, Sam’s a target, the police would like a word, and there’s nowhere left to hide. 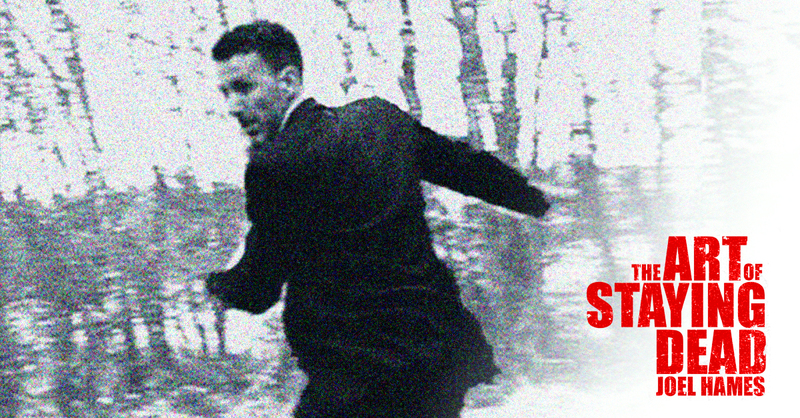 If Sam wants to stay alive, he’s going to have to stop running and figure out why. That was a great book description! I have such a hard time writing those for my own work so I always notice (and appreciate) when other writers can do it and make it seem so effortless! I think it’s interesting that you’ve written about a finance guy and a lawyer, two very different fields of expertise. It would seem the books wouldn’t have a lot in common. Are there any other similarities between the two books besides both being so character driven? Whilst the primary focus on both books is character and plot, there’s also a unifying theme, namely the impossibility of knowing what’s really going on around you, in the minds of your friends and enemies, your boss, the politicians and the bankers, in the news and the financial markets, the woman in the car in front or the guy who’s just brought you your coffee. Everything we do is based on certain assumptions that nine times out of ten are wide of the mark. Do you have an example of this from your books that you could share with us? It’s not just the painting that he’s had wrong the whole time. It’s everything – the people he’s worked with, the deals he’s done, the crimes he’s committed, none of it was what he thought it was in the first place. A similar set of crises face Sam Williams. I can’t say much for fear of spoilers, but Sam thinks he knows who’s who and what’s what, and suffice to say that the world has a lot of surprises in store for him. I understand. But thank you for sharing what you could. It sounds very compelling. I’d like to switch gears a bit now if we could. Can you tell us about your journey to become a published author? I wrote three books and basically sat on them before I went back to the first one and realised it was pretty good after all. So I revised it until it became little short of awesome, sent it out to one agent who told me she loved it but financial thrillers were a dead genre, and decided to ignore her and self-publish it through Amazon. And how did that go? Did you prove her wrong? It turned out we were both right: Bankers Town spent most of 2014 in the number 1 spot on Amazon’s Financial Thrillers bestseller list, and attracted rave reviews, but the fact remains Financial Thrillers is still a small niche in a big world, so I made my mind up that the next thing I published wouldn’t be limited by the box Amazon made me put it in. I’m all about learning from other writers who have published. I’m not about re-inventing the wheel. So I like to glean as much practical advice from published authors as I can. In today’s publishing world, there are the two types of publishing, traditional and self-publishing. So can you tell us, as a self-published author, what would you list as the pros and cons of self-publishing? You are in complete control of your own destiny, which is great – you decide how to market your book, where to invest your time and your money, you learn from your own mistakes, you mourn your defeats acutely but celebrate your success with abandon. And at the same time, you’re throwing your own money at it, so you have to be unbelievably careful; you don’t have access to the big-name reviewers on the web, TV and radio, you have to do everything yourself and you end up spending more time marketing than you do writing, which means your next novel takes twice as long. And when you’ve written that, you don’t have an editor to tweak it or make you tear up Chapter 15 or turn the central character into a Greek woman instead of a guy from New York. Which means more time revising and editing and proof-reading and before you know it a year’s gone by and you haven’t published a thing. Wonderful! That was a phenomenal answer! I started my blog to give people a behind-the-scenes look at what it was like to be an author so I love the answers like the one you just gave that gives us that rare glimpse into what it’s really like. No sugar coating and no bashing, just a realistic view of what it looked like for you. Thank you for sharing that with us! Another question I love to ask, because it usually returns a wealth of knowledge within the answers I’ve received, is: What’s something you know now that you wish you knew before you started? Haha, ok, good to know. For those of you out there thinking of writing a financial thriller, you heard it here on The Writing Piazza. Financial Thrillers don’t sell. That doesn’t mean you shouldn’t write one if you really want to, it just means be ready for low sales numbers. We love that kind of practical advice here on The Writing Piazza. Do you have any other tips for writers who are writing and attempting to publish their work? Take advice. Have a realistic view of the value of your work. And don’t release a thing until you’re convinced you can’t possibly improve it any further. All good stuff. Thank you for the advice, I will be sure to take it. 😉 I also wanted to talk briefly about social media. It’s become an important tool for authors. You and I “met” on Twitter where you have a healthy following, I think that’s one of the biggest frustrations I hear from other new authors is, “how do I build up my web-presence.” Do you have any insight to offer struggling authors who are trying to build up their social media? Be friendly. Follow people, like their pages, join online book clubs, but don’t just lurk: engage, and you’ll be surprised how useful that can be. You won’t just build up a bit of a following from readers, you’ll share ideas and past mistakes with other writers and learn so much more than you could on your own. It takes time and effort but it’s unbelievably rewarding, especially for an indie writer. Don’t be afraid to speak. Don’t be afraid to be funny. Make yourself heard. And of course, I can’t let you go without asking, are you currently working on another book? 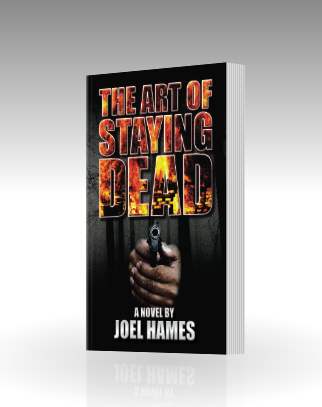 Yes, I’m working on the sequel to The Art of Staying Dead, which will see Sam Williams return to uncover some more surprising truths, as well as a YA novel and an interactive comedy book. Staying busy I see! And I’m now super curious to read your interactive comedy book and see what that’s all about. J For everyone interested in purchasing your books, is there a place they can go to do that? Joel, thank you so much for your time and for being a guest on my blog! Do you have a website as well, if people are looking for more information about you and your work? Thank you, Kara. 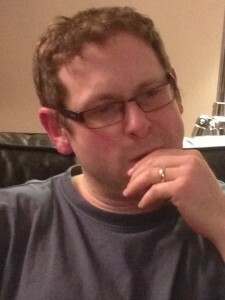 My website is at www.joelhamesauthor.com and it’s not been live long, but people are welcome to take a look around. This wraps up another fantastic Friday guest interview. Thank you to all you tremendous visitors who have stopped by to read this interview. You are the best! I hope you’ll keep coming back to The Writing Piazza, we have so much great stuff going live on the blog all the time. Have a great weekend.